Make sure the file you exported from Quickbooks is available on a computer with Ascend. 1. 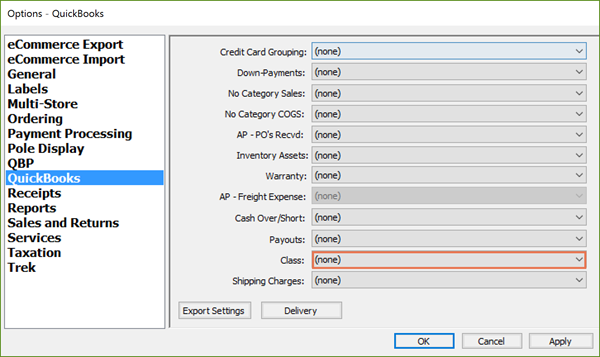 In Ascend, navigate to File > Import > QuickBooks Chart of Accounts. 2. Find and highlight the file you exported from Quickbooks. 4. The file is imported into Ascend. If this chart is replacing a previously imported chart, your existing mapping will stay intact as long as your new chart contains the same account numbers used with the existing mapping. 1. In Ascend, navigate to File > Import > Quickbooks Class List. If this Class List is replacing a previously imported list, your existing class assignment will be lost. You must re-assign the class in Options > Quickbooks.